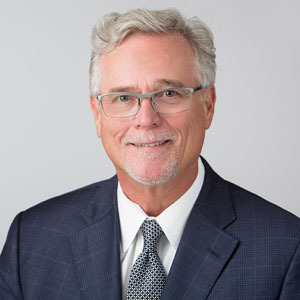 James R. Musbach is a Senior Principal at Economic & Planning Systems, a land economics consulting firm with offices in Oakland, Sacramento, Los Angeles, and Denver. With over 30 years of experience as a consulting urban economist, he has been involved in the planning and implementation of projects throughout the United States ranging from large-scale master plans and complex redevelopment projects to individual real estate projects and the revitalization of urban districts and neighborhoods. He has developed innovative approaches to redevelopment and reuse strategies and financing programs, and has extensive experience in the structuring and negotiation of business terms for Public/Private Partnerships between public agencies and real estate developers. In addition, Mr. Musbach frequently is called upon to speak on urban economic issues in a variety of professional fora and has authored a number of published articles as well as white papers and professional reports on many different urban development topics. Mr. Musbach has a Master’s Degree in City and Regional Planning from the University of California, Berkeley, and a BA in Public Administration from San Diego State University. He is a full member of the Urban Land Institute, and a member of the Public Private Partnership product council. Since 1994, he has been a member of Lambda Alpha International, a land economics honorary society, is a past President and current Board Member of the Golden Gate Chapter, and currently serves as Western Regional Vice President and member of the Executive Committee for the International organization.